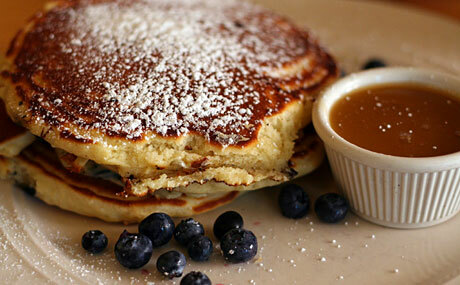 Do you love fluffy, sweet pancakes? 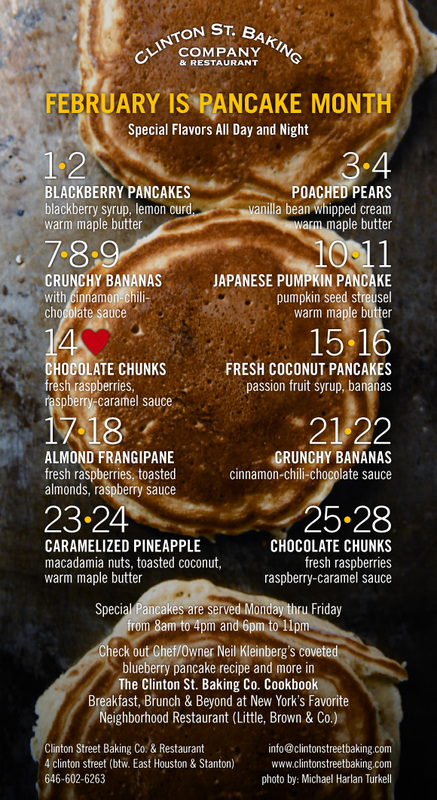 Then you’re in luck because February is Pancake Month at the Clinton Street Baking Company. 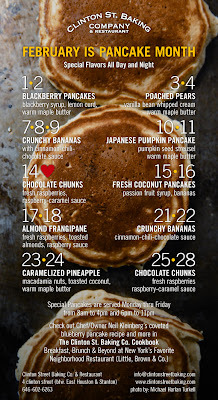 They will feature a different special pancake flavor every Monday thru Friday, well into the night. I adore this tiny restaurant for brunch, but it usually gets so crowded that you have to wait up to 2 hours for a table on a weekend afternoon. 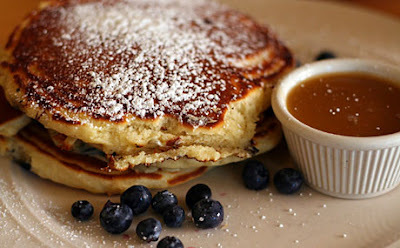 Clinton Street Baking Company’s famous Blueberry Pancakes are amazing, but during Pancake Month you will get the opportunity to try a variety of flavors from Chocolate Chunks (with fresh raspberries and a raspberry-caramel sauce) to Poached Pears (with vanilla bean whipped cream and warm maple butter). The flavors will change so check out the 2011 Calendar Menu! You're right, Clinton Street Baking Company is fabulous!! But, I do have to say, for a shorter wait time, I do love Curly's on E. 14th St., for their amazing Vegan Pancakes made w/kamut & flax, so delish!! great. yet another reason to ditch New Years Resolution!